/ How to Preserve Meat with Salt without Putting It in the Fridge? What happens when you can’t rely on the fridge for the preservation of food? Most households have a refrigerator that does an excellent job at storing food. Stuff like meat is one of the most common food items among them. And it’s one of the first to get spoiled if not preserved properly. So let’s find out how to preserve meat with salt. This way you won’t need that fridge to keep the meat fresh for a long time. Not everybody has access to refrigerators at all times, right? This doesn’t mean that you can’t preserve food. After all, refrigerators for the home were invented in the early 19th century. Before that, people adopted primitive ways of preserving meat. If they could do it, why can’t we? So it’s time to find out how to get the job done! Losing electricity means losing meat too. Or your fridge could break down, and it might take a long time for the technician to arrive and fix it. And this can ruin the meat. But you can easily save it by using some ancient yet effective techniques. These include the method of curing. This is one of the easiest ways of learning how to preserve meat with salt. It is also incredibly efficient. But there is an important factor to keep in mind before performing the procedure. The place where you’re planning to store the meat needs to be cold. The most common meat storage spots are storage sheds, attic, or shelters. The best way to determine this is to use the thermometer in every place to check its temperature. If you’re a hunter, then you know what it feels like to come back home after a successful hunt. You get all the right kind of gear; the best bow sight, compound bow, anchor point, broadheads, etc. to assist you with capturing the game. And once that happens, you get a lot of meat to work with, right? So you need to know how to preserve all of this before it starts to rot and all your efforts seem like a waste. Curing is one of the simplest techniques that help in preserving meat using salt. Before refrigerators came into existence, it was this particular approach that kept meat fresh for days. And many people still adopt such a technique not only to preserve meat but also to enhance its flavor. The reason why meat is highly susceptible to getting spoiled is that it offers a suitable environment for the development and growth of bacteria. Meat has a high content of water, and that’s what bacteria need to thrive, isn’t it? So once you introduce salt into the meat, it eliminates water. And this creates an environment in which bacteria are unable to multiply. But you don’t just need curing salt to get the job done thoroughly. Brown sugar is also another equally important ingredient to use. Although the quantity of salt needs to be higher. Other alternatives to brown sugar are maple syrup or honey. 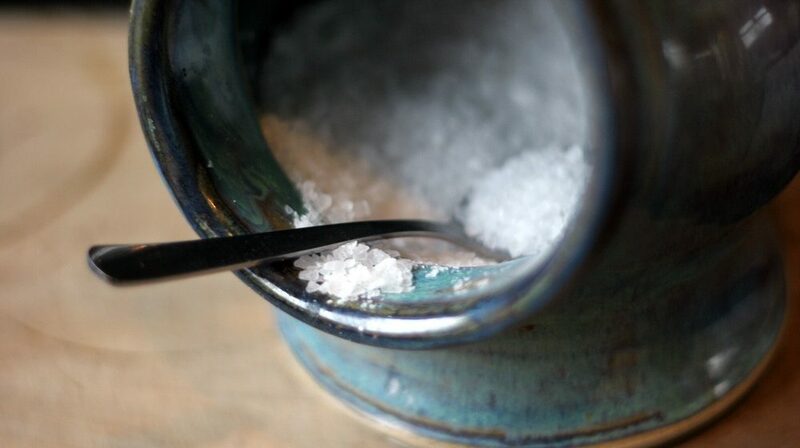 The addition of sugar tends to counterbalance the salt content as well as offer a special flavor. If you want to add a distinct aroma to the meat, you can also use some herbs along with spices. Sodium nitrite is also another ingredient that you can pair with salt for the preservation of meat. The thing about sodium nitrite is that it does an excellent job at eliminating botulism, the harmful bacteria. But sodium nitrite contains high amounts of nitrite. So you need to be careful when using this particular ingredient. 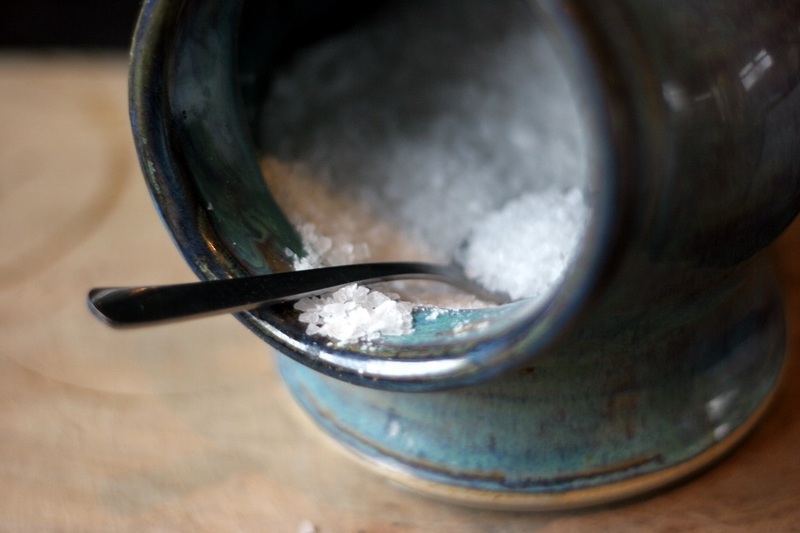 We’ve discussed two ways of safely using sodium nitrite to preserve food. Green leafy veggies like lettuce, spinach, and celery have natural sodium nitrite content. You can prepare a juice of these vegetables to use for meat preservation. Prague Powder, most commonly known as pink salt, is a type of salt that already contains an appropriate composition of sodium nitrite and table salt. How to preserve meat with salt? Slice all the meat that you have into slabs. Cover up each piece with the salt mixture. After you’ve applied salt to all the slices, place them in crocks or jars for storage. The meat needs to be packed together in a tight manner. Carry the jars to the storage destination, preferably a cool place. The temperature of this spot should be below 39-40 and above 36-37 degrees Fahrenheit. The final step is to take out the meat from storage after a month. Wrap the slabs in plastic or paper. The goal is to cover up the meat with a moisture-proof material. You can now store this meat for as long as you want. This is how to preserve meat with salt. Pretty easy, isn’t it? It is considered to be the simplest and most efficient way of preserving meat for an extended period of time. If it sounds like something you can do, then there’s no need to adopt any other technique for getting the job done. Your fridge may not always be reliable, but this method is. 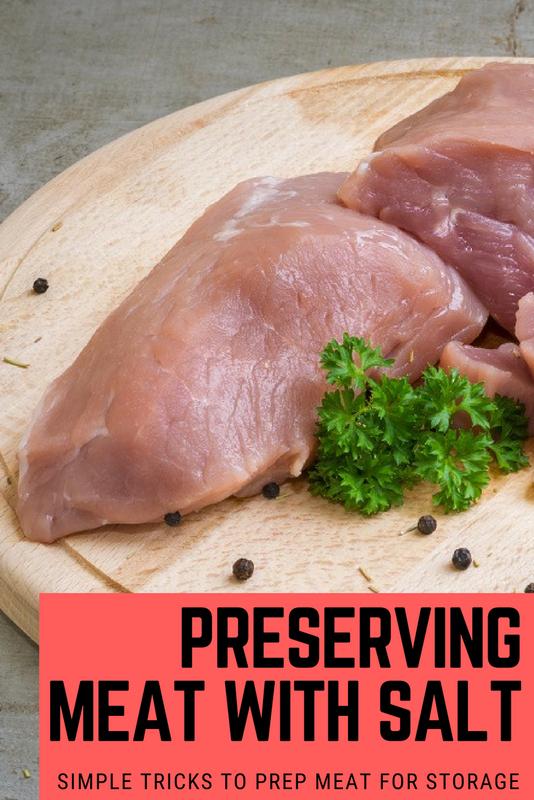 Have you ever tried preserving meat without using your fridge? If yes, then how did you do it? We hope the article was useful and informative. Is this what you were looking for? If you like, you can leave a comment in the section below to let us know what you think. Tony Lohman has been writing about outdoor activities and gear for many years now. As an avid outdoor enthusiast himself, he knows what works best and what doesn’t. His articles are more about providing you with useful information about fishing, camping, hunting, etc. that you can use when embarking upon wild adventures. Along with that, he also writes about the most suitable types of products to perform such activities in the most comfortable manner.